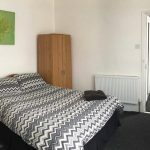 Close to the beach, Redcar Race Course, Golf Club and Railway Station as well as having many restaurants and pubs close by. Contractors are welcome, we are a 10 min drive away from Wilton Complex and Teesside Power Station. 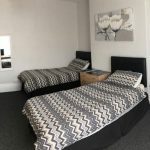 Tudor Lodge is a friendly, family-run guest house very close to the sea front in Redcar, North Yorkshire. 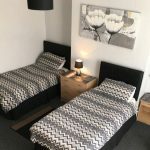 A popular seaside resort, within walking distance of the guest house is the sea front, the town centre has, a large variety of pubs, clubs and restaurants, the train and bus stations and take away restaurants. In 2006, Redcar was used as a location for the film adaptation of the Ian McEwan novel Atonement. The Coatham Hotel, Regent Cinema, a section of Newcomen Terrace and part of the beach were dressed as 1940s Dunkirk. 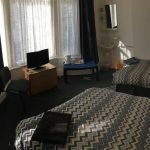 We are in a very convenient location near the town centre and all amenities, as well as being close to the North Yorkshire Moors, Whitby is less than an hour away by car. We welcome contractors, as we are only a 10 minute drive from Wilton complex, Teeside Power Station and Tees Port. A laundry service is also available for our longer term guests. Room Only, with tea Coffee making facilities, flat screen TV, free WIFI and use of a kitchen. Rooms serviced daily. “Old Values Traditional Guest House – Cheap as Chips” Really friendly sisters running the place – couldn’t do enough for us. The facilities are shared but they and the rooms are spotless. At these prices what could be better? 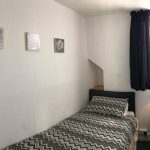 “Friendly and helpful staff made this accommodation home from home” This accommodation had a very relaxed atmosphere with helpful and friendly staff. Nothing was too much trouble and we were made very welcome. Would definately stay here again.